1) Mixed characters, letters, and numbers. License plates don't just have English letters and Arabic numerals, but also characters. 2) There are many types of colors. Foreign license plate colors are diverse and complex, and some have picture backgrounds. 4) There are many license plate formats. There are many license plate formats, including: civil license plates, public security police license plates, armed police license plates, military license plates, diplomatic license plates, special license plates, fire license plates, etc. 1) External lighting conditions vary, and day and night illumination varies. Illumination has a large impact on the quality of the acquired image. Different illumination angles have a great influence on the uneven illumination of the license plate. Different climatic conditions, background lighting environment, and license plate reflection degree all determine the brightness characteristics of the license plate. When the feature is extracted, the illumination is too bright or too dark, which will affect the accuracy of license plate recognition. 2) The complexity of the external background also affects the positioning accuracy of the license plate. In the background and in the license plate area, there are many rectangular areas similar to the license plate characteristics, which are easy to cause misjudgment of the license plate positioning and lead to a lower accuracy of the license plate positioning. The shooting angle in actual engineering is generally directly above, left and right with respect to the direction of travel of the vehicle. If the angle of the shot is smaller, the deformation of the license plate in the plane image is smaller, and the recognition effect is better. According to the structure of the intelligent transportation system, the images captured by the camera are all series of images, and the image adopted by the license plate recognition system is not necessarily optimal due to the influence of the external environment. In order to improve the recognition rate and realize the recognition of foreign license plates as much as possible, our company independently developed the YUXINTECH license plate recognition machine. Based on computer vision processing, digital image processing, pattern recognition and other technologies, it processes and analyzes the vehicle image or video image captured by the camera to obtain the license plate number of each vehicle, thus completing the identification process. The main thing is that it integrates license plate algorithms in more than 100 countries, making it easy to identify license plates in various countries. The HD license plate recognition camera is a high-definition camera with a DSP processor inside. The camera has built-in video motion detection and license plate number recognition. Users can retrieve OCR results and images using the web interface. 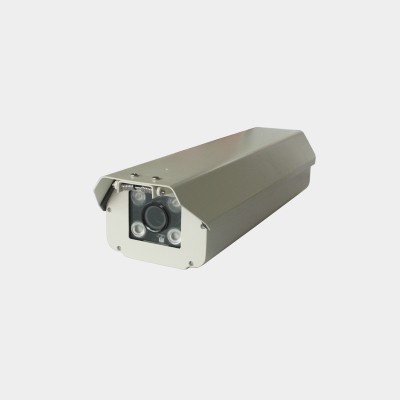 Designed for parking, highway, toll booths, and traffic light detection applications, these cameras are powerful, lightweight, and low power. The license plate recognition machine is designed to complete the identification of the license plate, and has a complete development kit and software interface to facilitate integration with other systems. Products include vehicle triggering, camera capture, license plate recognition, data storage and interface data transmission. After receiving the recognition result, the client can make a corresponding workflow or background processing such as comparison, charging calculation, release, and the like.